My hypothesis is that The Primary Cause for the shift of profits from Incumbents to Entrants has been the disruptive impact of a new input method. It was a description of what I considered to be the “disruptive technology” which caused incumbents which had a “front-row seat” to the future of their industry to be completely displaced and marginalized by an entrant1 with no discernible right to do what they did. I added the years when each input method was introduced and the platform/ecosystems created as a result. These new ecosystems were the primary cause for dramatic industry-sized shifts in profits. 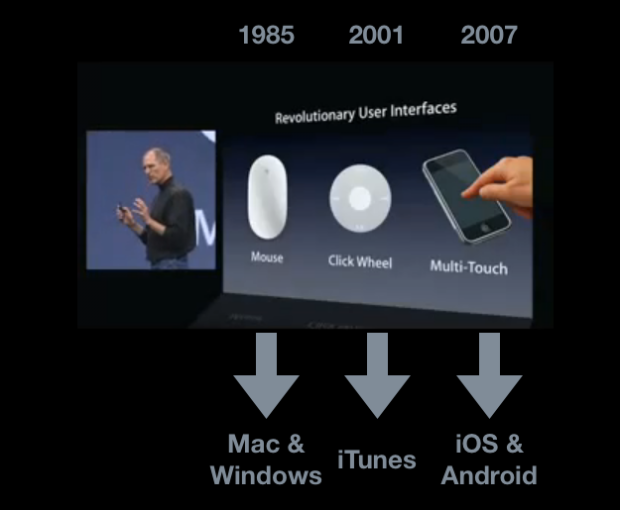 Not coincidentally, during the 2014 Apple Watch launch, the presentation began2 with a re-telling of the “mouse, click wheel and Multi-Touch” story. 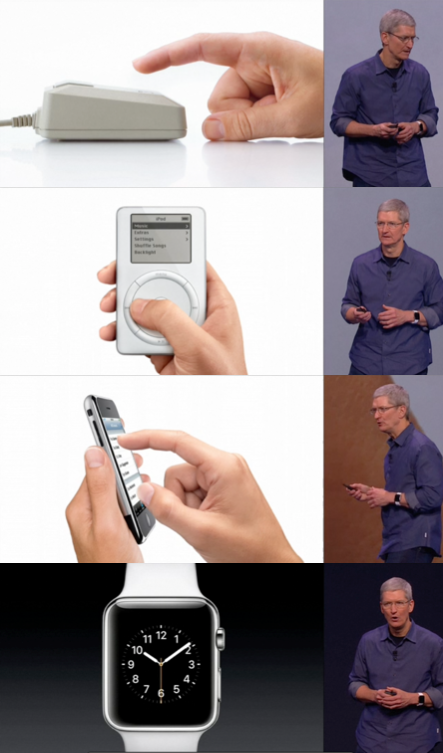 Seven years later, the difference is that there is a new object added to the story. It answers the question that has been on my mind since that first post on revolutionary user interfaces was written: what will come next. Now that we have an answer, the next step is to understand the new platform, its ecosystem; which industry will be affected and which incumbents will be displaced and to what degree will value be created beyond that which will be displaced.